Winfield Selma is a rich and roomy wall mount mail/parcel box which can hold numerous pieces of mail or small parcel packages. 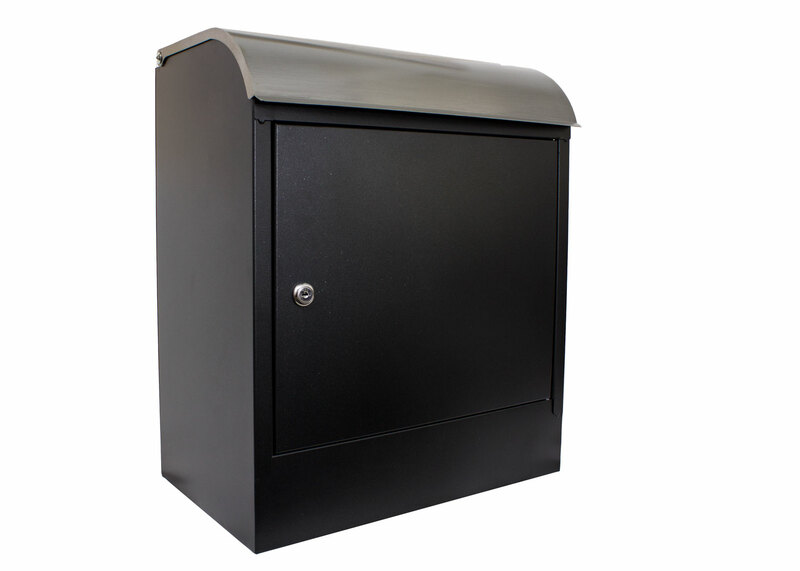 A hinged hopper keeps delivered packages and mail safe while allowing for deliveries. 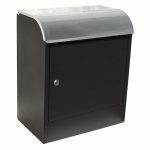 Parcel/mailbox is made of galvanized steel with a tough black powder coat finish and features a stainless steel top cover. Front locking door swings open for easy parcel or mail retrieval, a lock and set of keys are included. Maximum parcel size: 14-1/4" x 7-3/4" x 4-1/4"
Add optional vinyl street number or you business logo.